A declining market in real estate is when home values start to drop instead of increase. Some areas in Florida experience a higher percentage of decline than others, and this market condition can be local in nature or far reaching. Real Estate market conditions are cyclic in nature as a general rule and many things must be considered to accurately predict these cycles. Currently, we are seeing Florida real estate market and home values being driven by the large number of foreclosures, short sales, REO's, etc. out there. In days gone by, a Real Estate Appraiser would go out to appraise a home and use the most recent sold comparables to that home. If there happened to be a foreclosure sale in the subject home's neighborhood, that sale price was not be given serious consideration because it was not a true arms length transaction. It was the exception to the rule. They were either not included if there were enough comparable properties out there to use that were not foreclosures, or were just not given any real significance to determining the subject home's value. A short few years ago, the real estate market was booming. Prices were on the rise and Home Buyers were out in large droves, trying to get a piece of the American Dream. Speculators and investors (large numbers) were also buying homes to "flip", which were driving prices of homes up and up. It was a very strong "sellers market" with intense competition to buy a small inventory of OVERPRICED homes for sale. A very hot real estate market has cooled off dramatically. Unfortunately, values of homes are plummeting like a rock. Well, as you know that environment has significantly changed and is continuing to evolve as both government and financial markets are attempting to deal with the credit situation. At present, there are so many foreclosures, short sales and REO properties on the market, that a Real Estate Appraiser can no longer ignore the sale prices of these homes. 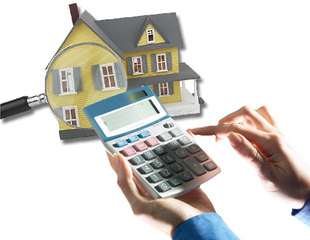 So their sales price, or their value, must be considered and factored in, to determine a home's appraised value. This is not making too many homeowners and sellers happy. Until recently, the CMA (Comparative Market Analysis) was almost an afterthought for many real estate professionals; something that could literally be done on the way to a listing appointment. The comparables of existing home sales were easy to do since so many were within the same subdivision and almost all were within a 90 day window. Along with this, the Comparative Market Analysis (CMA) is taking on more importance. In addition to establishing a relative asking price or market value of properties in an area, the CMA actually impacts how the loan approval process might proceed after the offer is accepted. An accurate value for the property securing a mortgage loan is important in all markets, but the value becomes difficult to evaluate when the subject real estate market is experiencing a decline in property values ("declining market"). Recent trends indicate that certain markets in Florida are experiencing a major "decline" in property values. There is no standard industry definition of what constitutes a declining market. It is within the appraiser’s discretion to determine if the appraisal "accurately" reflects the current market conditions. In general terms, a "declining market" is one in which home prices are currently declining. An appraiser is responsible for providing an accurate, independent, and adequately supported opinion of the value and property description, and has considered available public and non-public information concerning local trends in home prices. The Florida appraiser has considered and is required to provide an objective assessment of the primary indicators of market conditions in a "given neighborhood" whether they are increasing, stable, or declining. For example, when indicators such as price changes, supply and demand, and market activity reflect a decline in property values, an over-supply of homes, and/or marketing times in excess of six months. The appraiser is responsible to report the reasons for these trends and indicate what, if any, impacts these trends have on the opinion of the market value for the subject property. It is unacceptable for the appraiser to ignore these issues and not report the factual property value trends and market conditions. 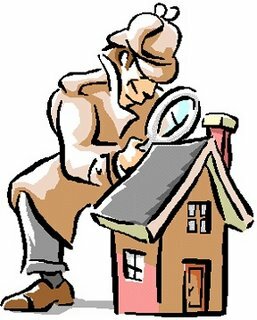 The appraiser researches and/or reviews available information regarding the home price trends of the market in question.